One of FLOCERT’s many services is the translation of the Fairtrade Standards into sets of measurable, concrete compliance criteria for all Fairtrade customers. Depending on your role in the Fairtrade system and the products you trade as selected, it is your unique selection of compliance criteria that will be checked within each and every audit by one of our highly qualified and independent FLOCERT auditors. Fairtrade is not about policing but about development. Yes, there are “major” criteria, related to health and safety, contract management and child labor, and defiance of these may prevent your certification. There are also “core” requirements that represent the fundamental Fairtrade values and principles. Overall however, our compliance criteria encourage you to continuously improve and invest in the development of your business and its workers. They encourage sustainable, social, economic and environmental development of producers and their organizations. If you’re only interested in selling final packaged consumer ready products with the FAIRTRADE Mark, you don't need to be certified. The FAIRTRADE Marks are protected trademarks of Fairtrade International. The Marks are licensed for use by either Fairtrade International or your local National Fairtrade Organization. Use of any of the FAIRTRADE Marks is subject to a contractual relationship between licensee (manufacturers, producers, traders) and Fairtrade. Please find out if there is a National Fairtrade Organization that will help you in your country, or email license@fairtrade.net. Is your organisation ready for Fairtrade certification? Not sure? We can help out! Would you like to brush up on your knowledge? Our training courses are for you! We'll bring you up to speed! If you are interested in becoming certified in accordance with the Fairtrade Climate Standard please check the Compliance Criteria below. The Compliance Criteria are published in several languages. In the case of an interpretation dispute in any of the published languages, the English version of the Compliance Criteria prevails. Which products would you like Fairtrade certified? Select ALL product categories, please! Compliance Criteria: are established by FLOCERT to translate requirements of the Fairtrade Standards and FLOCERT requirements into verifiable control points that are evaluated during the certification process to determine compliance with the Fairtrade Standards. a. Core Criteria (C): reflect Fairtrade principles and must be complied with. b. Major Criteria (M): reflect key Fairtrade principles where non-compliance represents a major risk to the Fairtrade system. Non-conformity with a major compliance criterion may lead to certification sanctions. 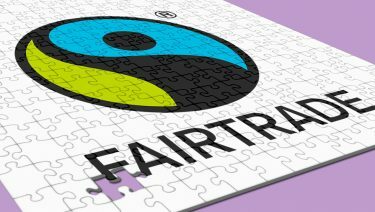 Standard References: Each criterion references a requirement in the Fairtrade Standards. Number: FLOCERT's internal numbering of the criteria. If you have a question on any criteria, you can simply refer to this number. Please note: The Compliance Criteria are published in several languages. In the case of an interpretation dispute in any of the published languages, the English version of the Compliance Criteria prevails. The Compliance Criteria are updated annually.